The Hash House Harriers (HHH, H3, or simple “the Hash”) was founded in 1938 by British officers stationed in Kuala Lumpur (KL), Malaysia. After duty, it was their custom to congregate at the famous Selangor Club to quaff a few brews. One Monday, one of their number thought he would take a bit of exercise around the club track instead of indulging with us comrades. The novelty apparently was infectious, and the group decided to hold a cross country run each Monday evening to work off the excesses of the weekend. Most Hashes meet once a week, usually in late afternoon. Others meet less frequently (bi-weekly or monthly), and many hold weekend affairs. As of 1994, about 1500 clubs were registered in over 140 countries. A complete list of all registered Hashes in the world is available on their website. In Abidjan, there are 2 hashes. The Abidjan HHH was founded by Andrew Martin and Rick Hodson in November 1981. 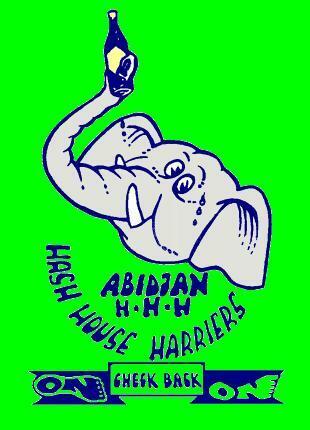 The Abidjan Classic Hash was founded by Mike “Rajun Cajun” and Valencia “Juicy” Hebert in January 2001. For more info on the Abidjan group click on this link : http://www.abidjanhhh.org/enmenu.htm and see the Hash's rules or choose "this week's hash" for the schedule. Description: A very nice ride through 56 hectares. Opening: daily from 7:30 to 17:30. Entrance: 5000 CFA guided tour by appointment phone. Address: Km 51 Highway North, 30 minutes of Abidjan.